Stó:lō-Salish-Cree author Lee Maracle explores the intersections of Indigenous and diasporic communities in her poetry, autobiographic works, and fiction. Poems in Bent Box (2000), her novel Sundogs (1992), and her short story collection First Wives Club: Coast Salish Style (2010) can all be considered in these terms. Here we will focus on a short and lesser known piece of Maracle’s titled “Yin Chin,” published in The Native Writers and Canadian Writing special issue of Canadian Literature. “Yin Chin” reflects on the narrator’s experience growing up as an Indigenous child in Vancouver’s Chinatown and examines Indigenous and diasporic intersections on Canada’s West Coast. Where and when does solidarity arise between the Indigenous and Chinese Canadian characters of “Yin Chin”? What about difference? As this chapter has shown, diasporic and Indigenous texts tend to trouble national categories. What cracks and fissures does “Yin Chin” show within narratives that suggest Canada is a welcoming and inclusive nation? What, according to Maracle, is the problem with arguments that Canada welcomes diasporic communities? Think about genre: how would you classify a story like “Yin Chin”? What about grammar? We typically understand grammar as the “rules” that structure written English: how does Maracle play with these rules, and why? Throughout this piece, Maracle’s narrative voice moves from memory to the present day, shifts that suggest time and age are significant themes to examine when analyzing this story. What differences does Maracle highlight between childhood and middle age? 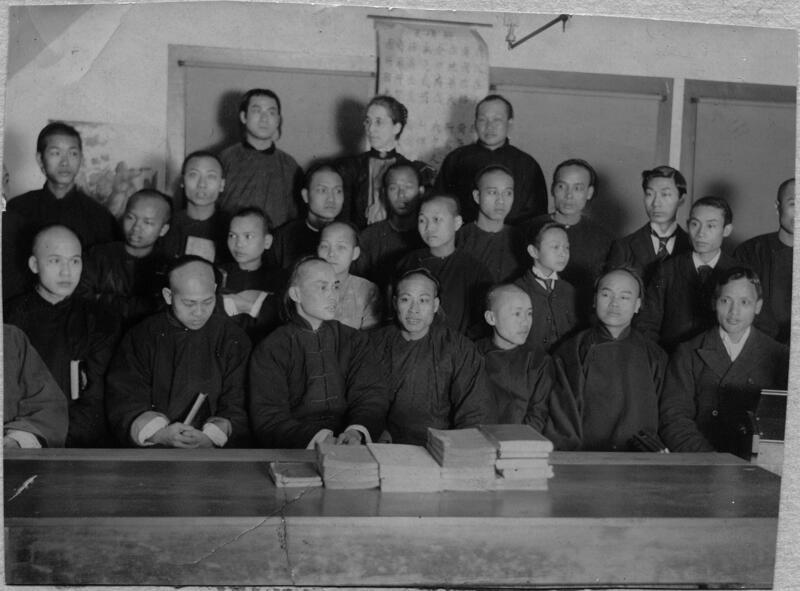 How does the title, epigraph, and dedication of “Yin Chin” expand the narrative’s timeline? Did you find the story’s temporal shifts jarring? Why does Maracle play with time? According to the closing lines of “Yin Chin,” what is the root of ignorance in Canada? This opening dismisses the idea that there is a clean separation between Canada’s colonial past and transnational present. Rather, colonial history and the ongoing occupation of Indigenous land diffuse under Canada’s white and non-white communities alike. What, according to the novel, are the consequences of ignoring—intentionally or passively—this historical and contemporary colonization? 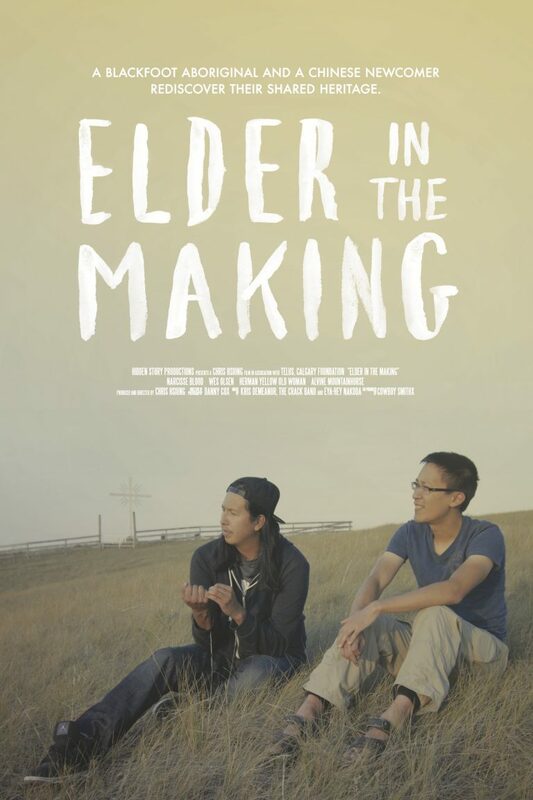 Promotional poster for Chris Hsiung’s 2015 documentary Elder in the Making. Reproduced with permission from Chris Hsiung. What issues does Brand’s novel suggest have yet to be settled between Canada’s Indigenous and diasporic communities? Thinking more expansively, does this introduction in any way help explain the novel’s shocking conclusion? Reflecting on Guyanese Canadian author Tessa McWatt’s novel Out of My Skin, Petra Fachinger argues that although the work “encourages readers to think critically about how racialized minorities are complicit in the colonization of Indigenous peoples in Canada and how issues of racial discrimination and exclusion experienced by African and Afro-Caribbean Canadians cannot be separated from colonial legacies that continue to affect Indigenous peoples, it hesitates to fully imagine the implications of such complicity”(88). Can a similar argument be made about Brand’s What We All Long For? Why or why not? Lee Maracle, “Yin Chin.” Native Writers and Canadian Literature. Spec. issue of Canadian Literature 124-25 (1990): 156-61. Print. Fachinger, Petra. “Intersections of Diaspora and Indigeneity: The Standoff at Kahnesatake in Lee Maracle’s Sundogs and Tessa McWatt’s Out of My Skin.” Tracking CanLit. Spec. 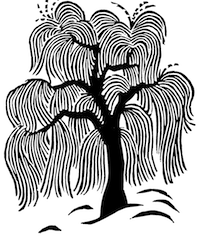 issue of Canadian Literature 220 (2014): 74-91. Print. McWatt, Tessa. Out of My Skin. Toronto: Riverbank, 1998. Print.